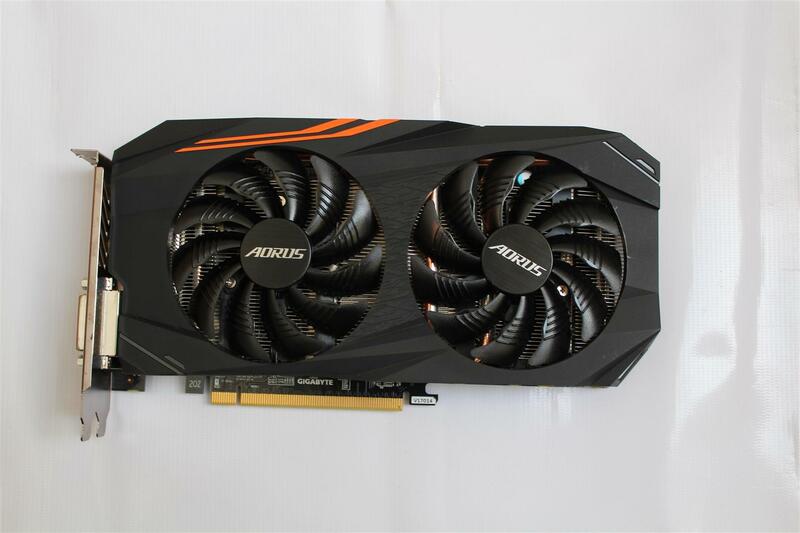 13 May, 2017 Rakesh Sharma Reviews . 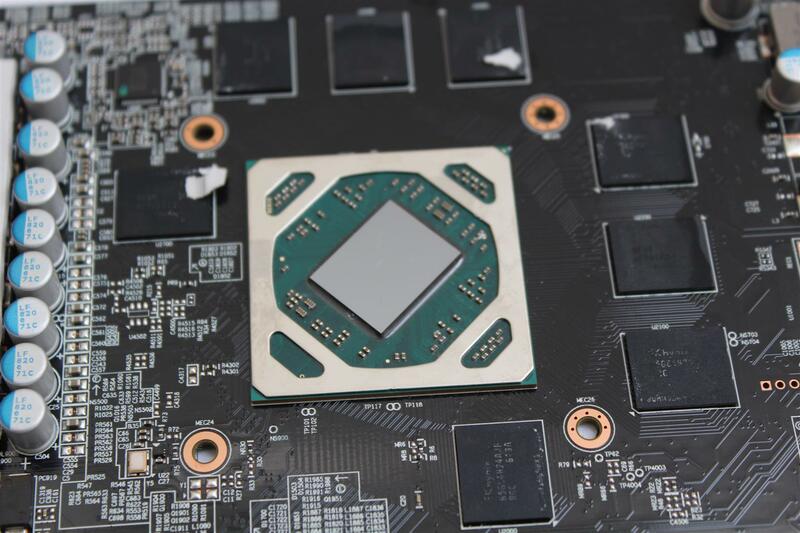 Recently the two big names in graphics card industry, NVIDIA and AMD introduced another wave of graphics cards clamming greater users experience and more features. 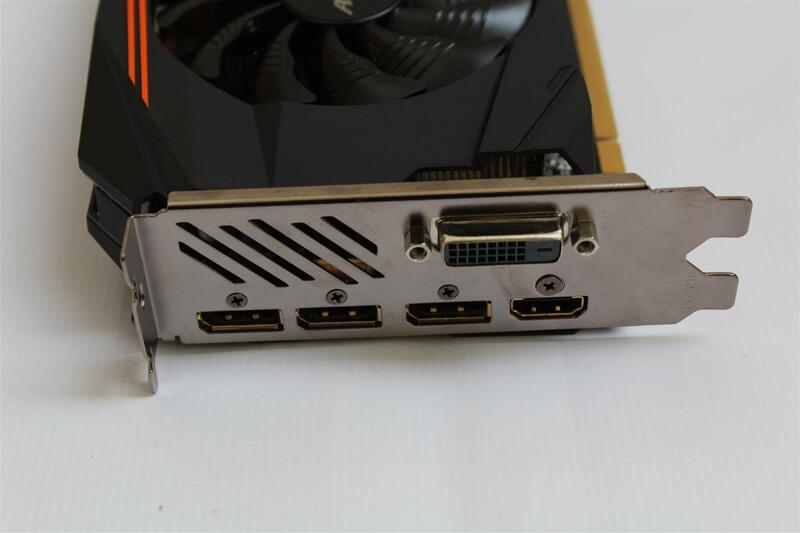 AMD introduced their RX Series with familiar naming nomenclature the RX 570 and RX 580. 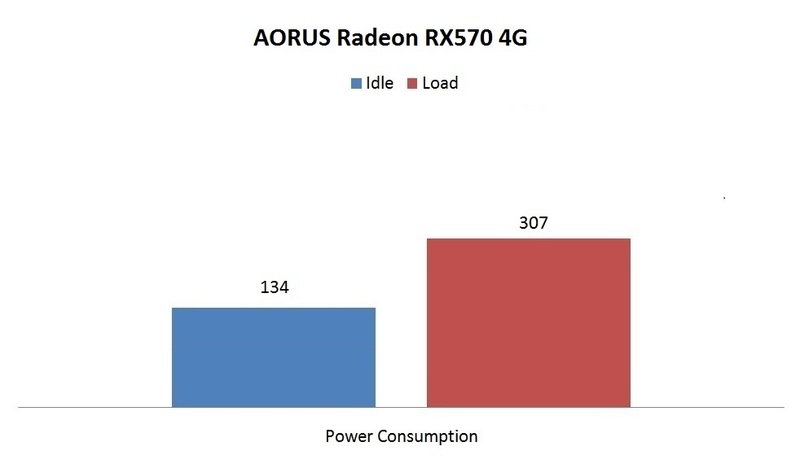 Built on the incredible Polaris architecture these two cards are essentially refreshes of the current mainstream AMD GPUs, the RX 470 and 480. 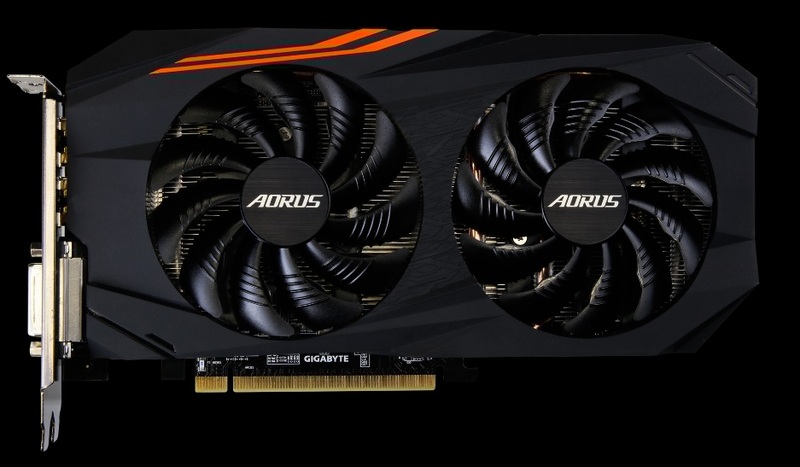 Today we are reviewing the AORUS Radeon RX570 4GB, a graphics card dedicated for 1080p gamers. 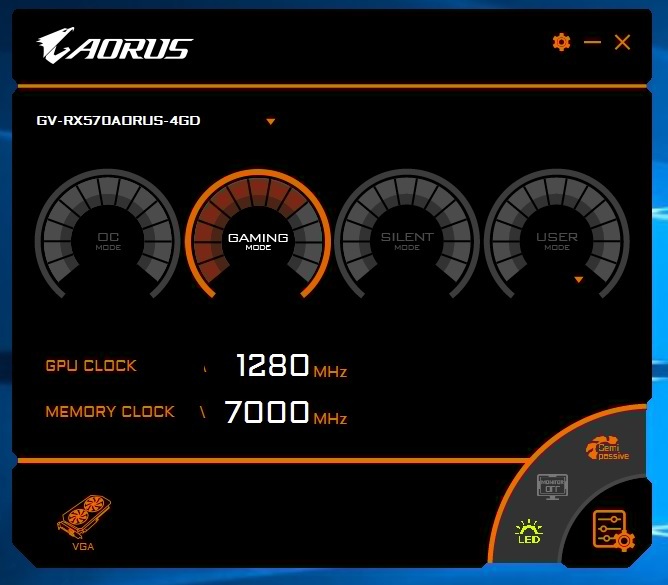 With a custom PCB, dual WINDFORCE 2X cooling system and the advanced copper back plate, the AORUS Radeon RX570 4GB keeps the temperature in check with silent uninterrupted gaming. 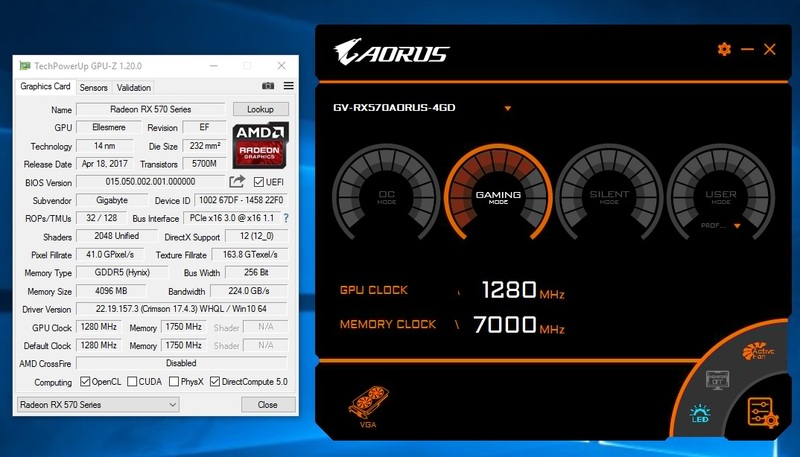 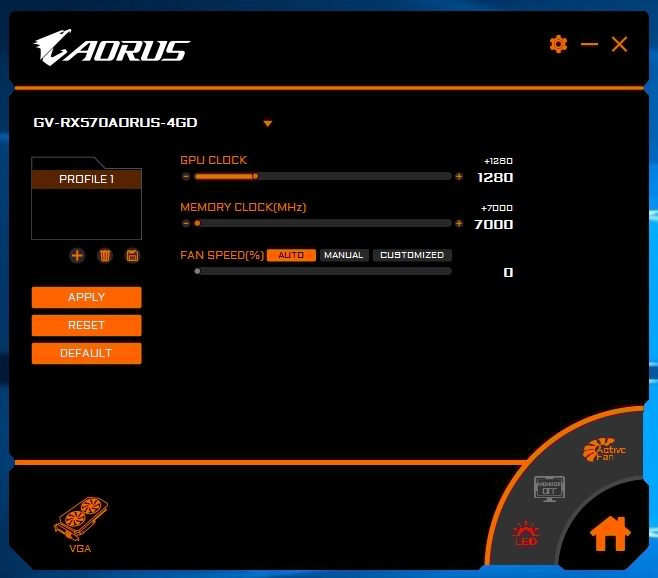 AORUS Radeon RX570 comes loaded with 4GB of GDDR5 memory with 7000MHz of Memory clock and hits a modest Core clock boost with a 1295 MHz of core clock in OC Mode and 1280MHz in gaming mode. 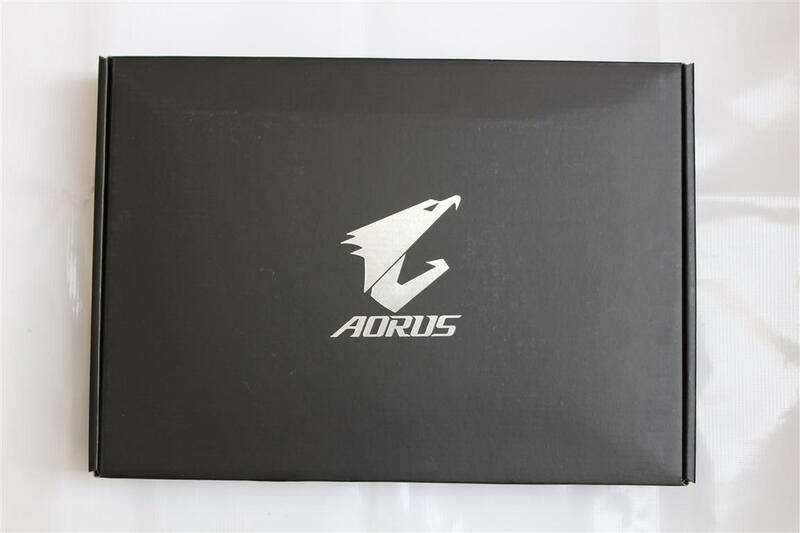 Now let’s see what this AORUS Radeon RX570 has for us. 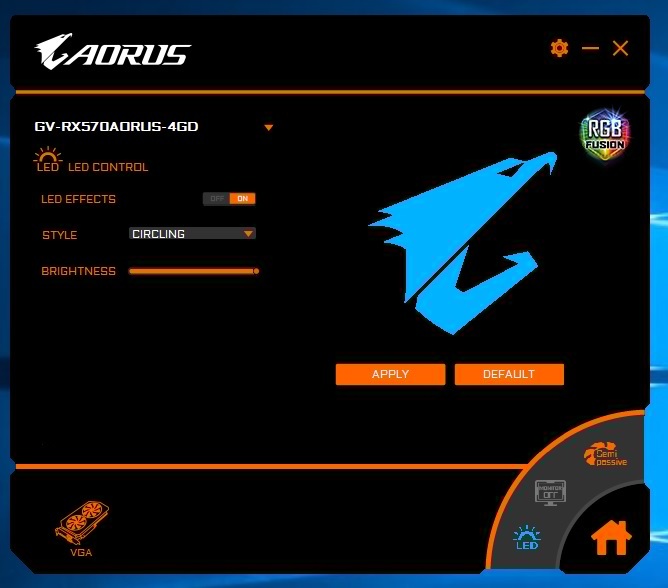 AORUS graphics cards are crafted for perfection in pursuit of the ultimate graphics experience for gaming enthusiasts. 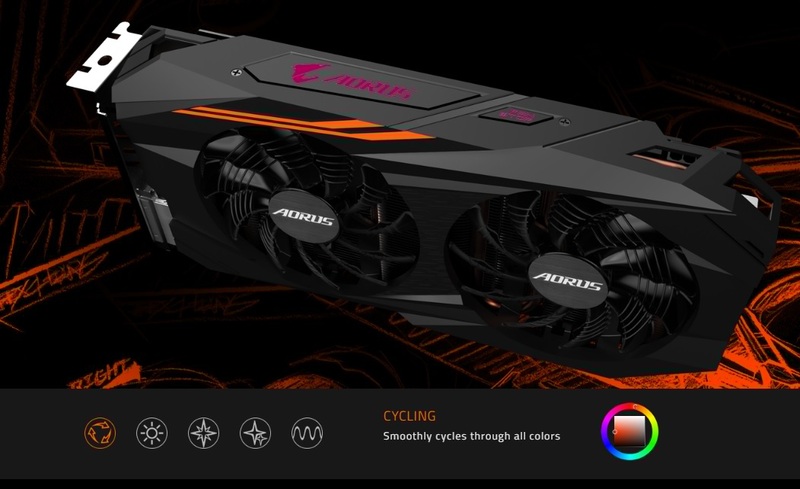 Based on the revolutionary AMD Polaris architecture, AORUS graphics card brings you incredible gaming experience. 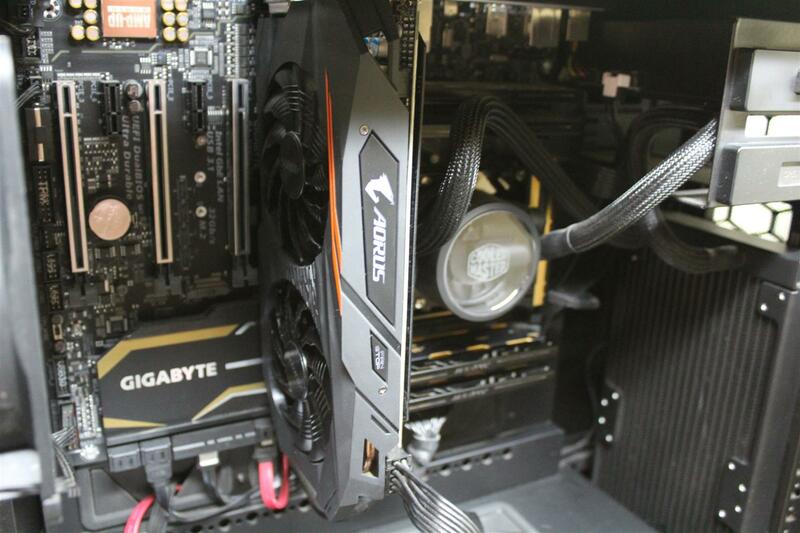 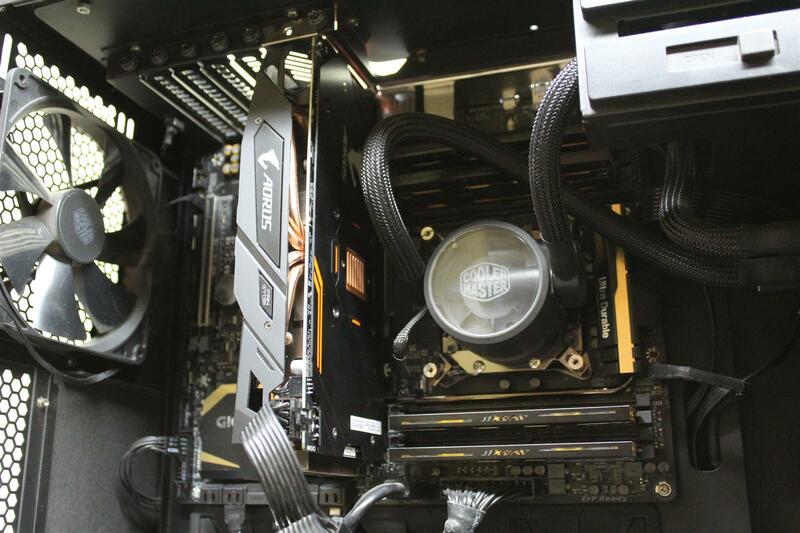 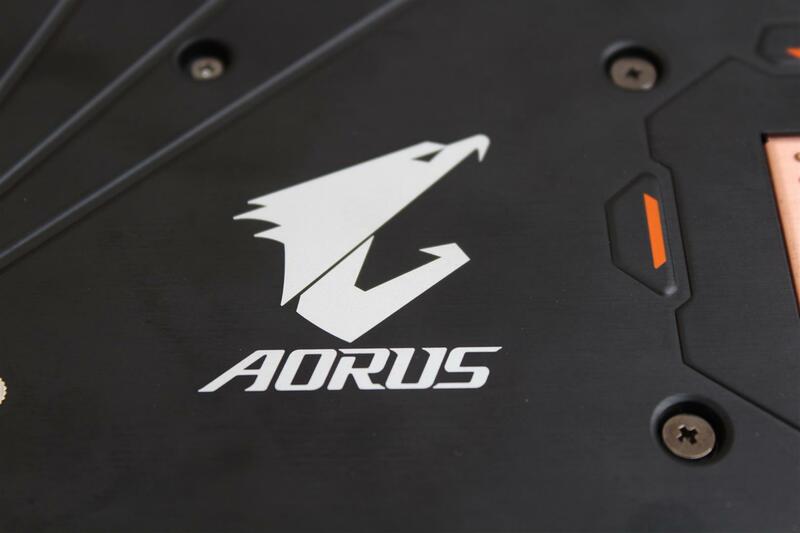 AORUS provides the all-around cooling solution for all key components of the graphics card. 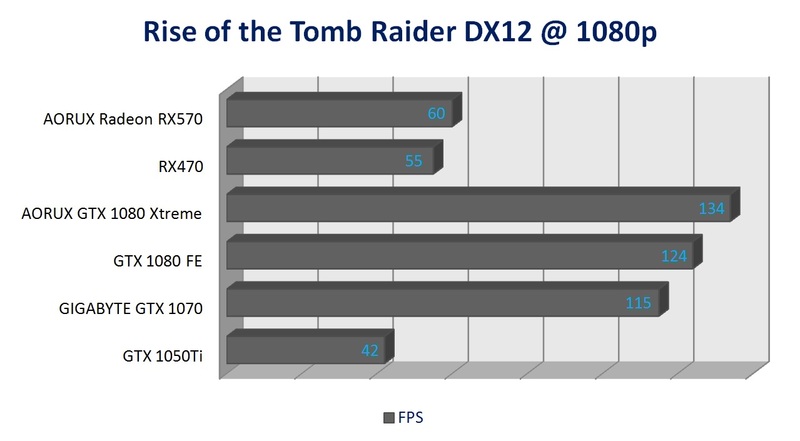 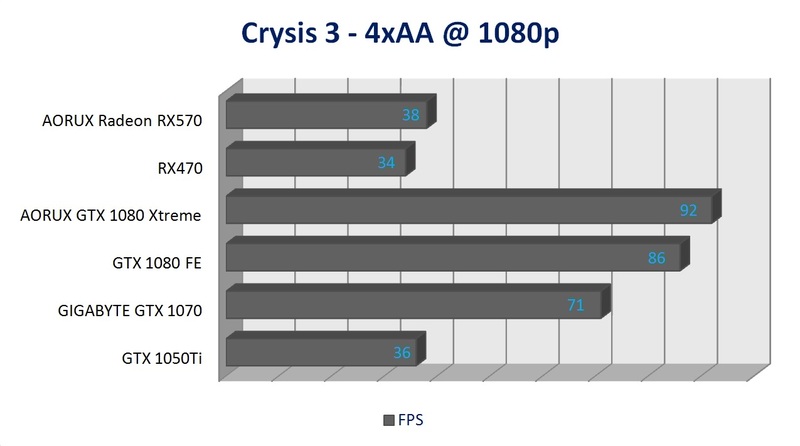 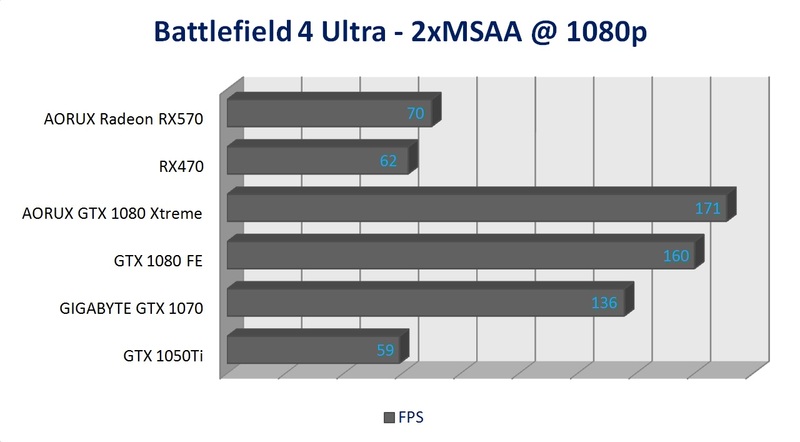 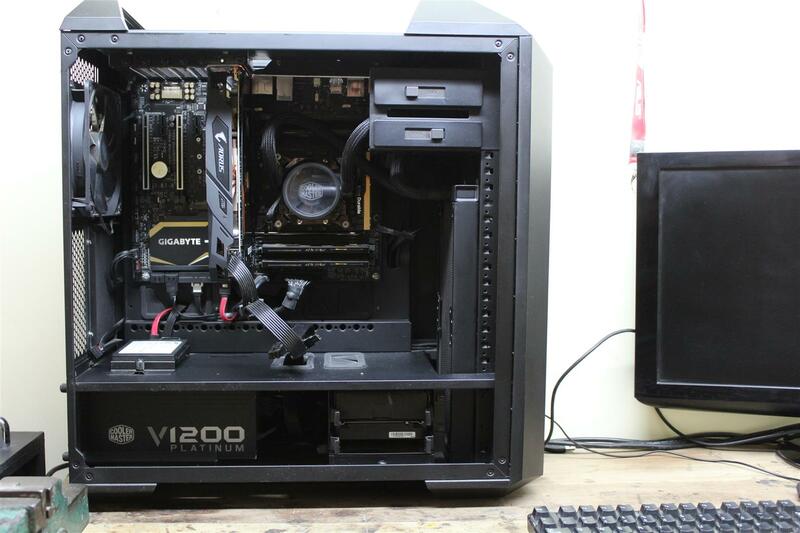 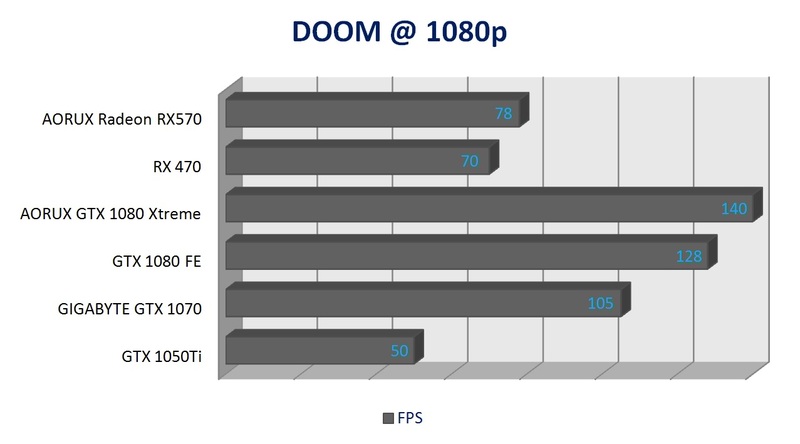 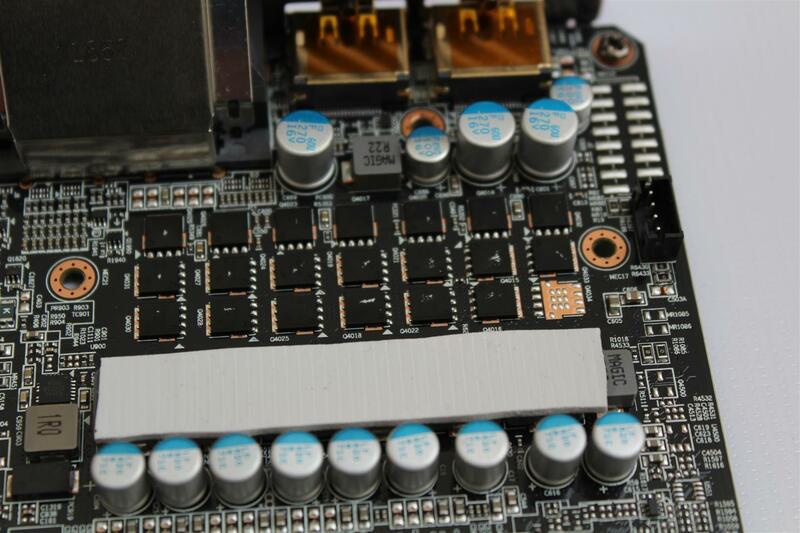 We take care not only GPU but also VRAM and MOSFET, to ensure a stable overclock operation and longer life. 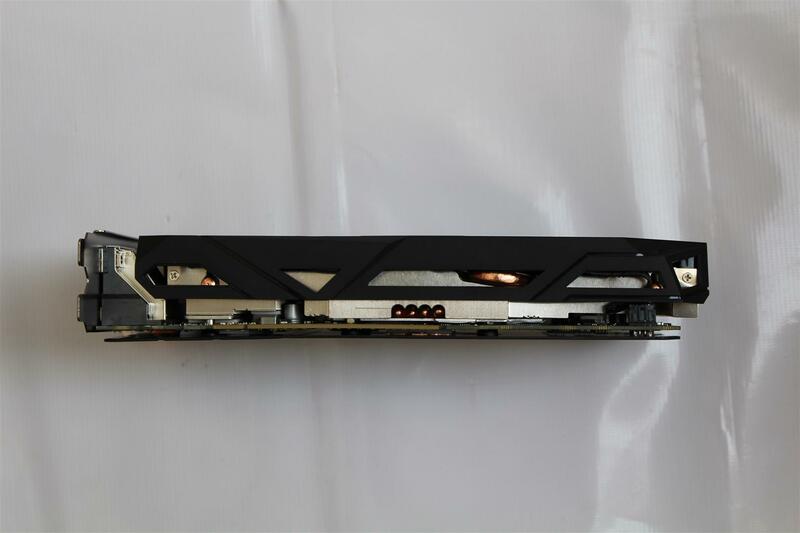 On the front side, the GPU direct touch heat-pipes combines a metal base plate to dissipate the most heat from the GPU and VRAM. 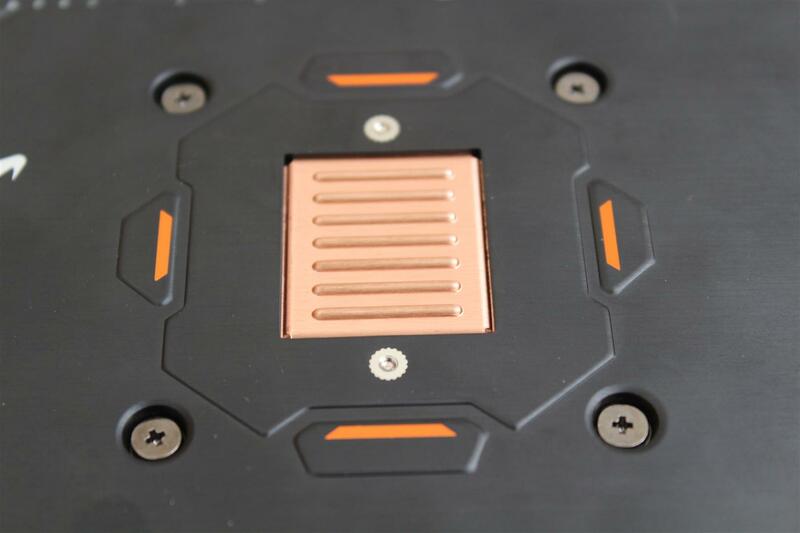 On the back side, the copper back plate dissipates the heat from the GPU back side. 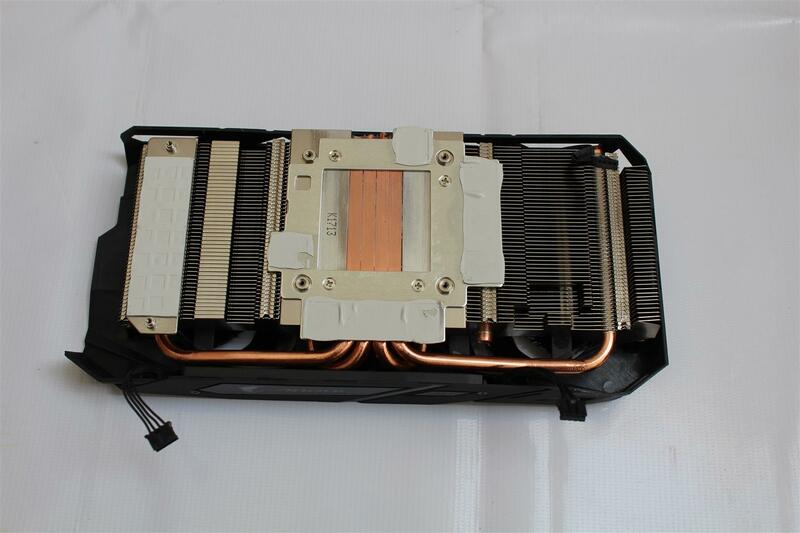 All other key components are taken care of very well by the WINDFORCE cooling module. 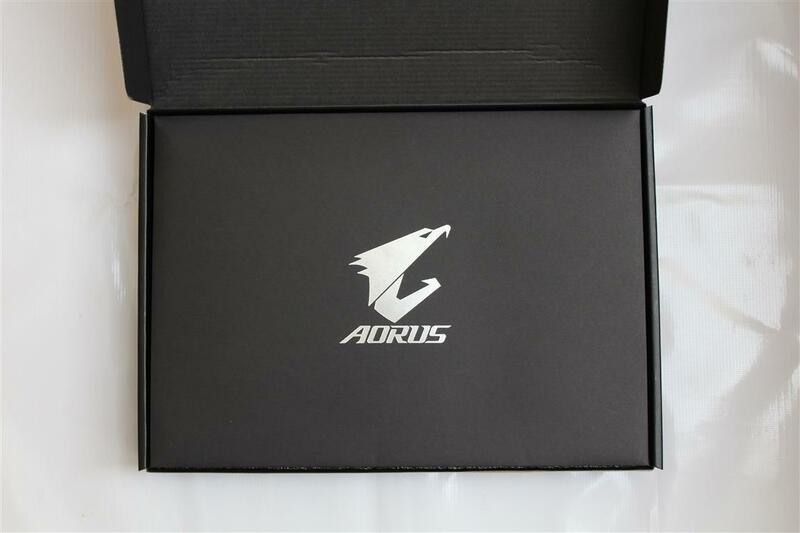 AORUS ensures the customer a better cooling solution in many ways. 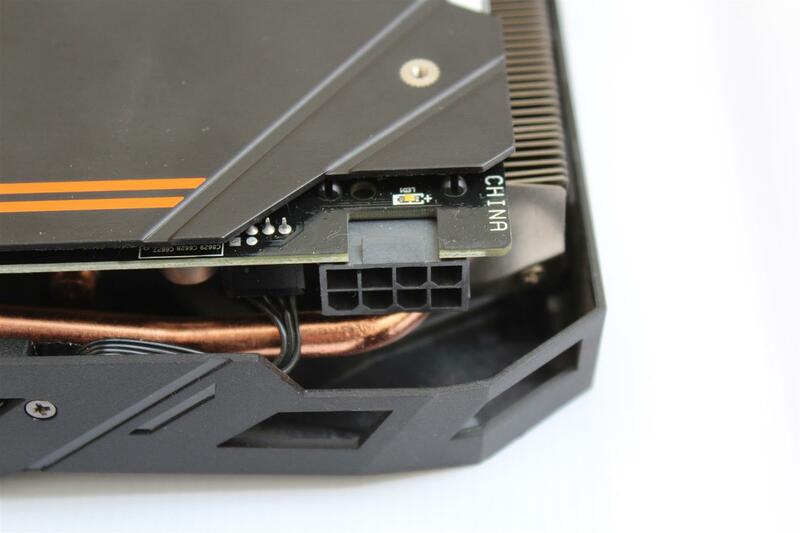 Equipped with 2x 90mm unique blade fans, 4 pure copper composite heat-pipes, and heat-pipe direct touch GPU, the WINDFORCE 2X cooling system delivers an effective heat dissipation capacity. 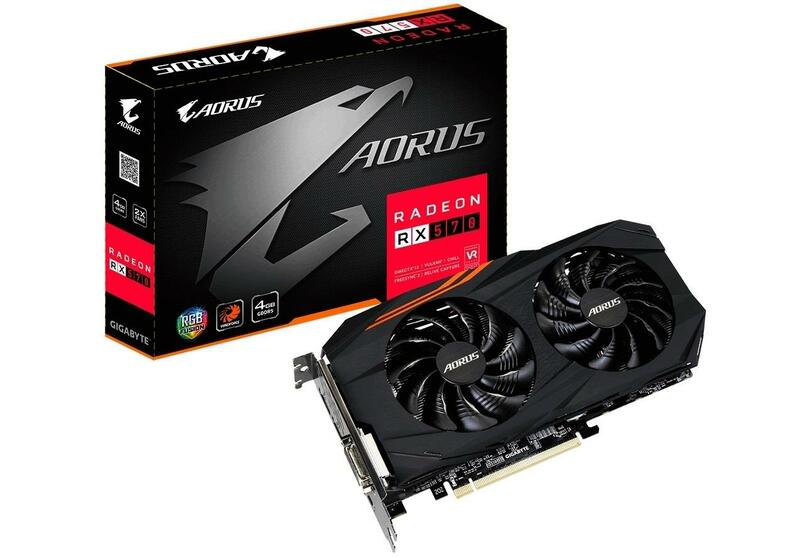 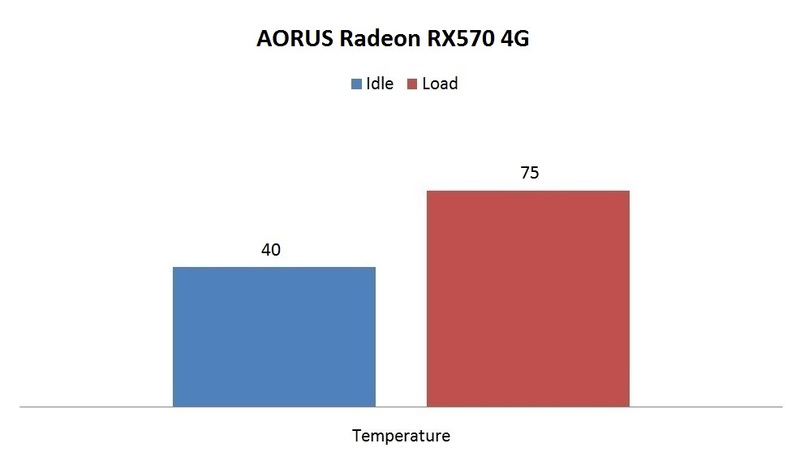 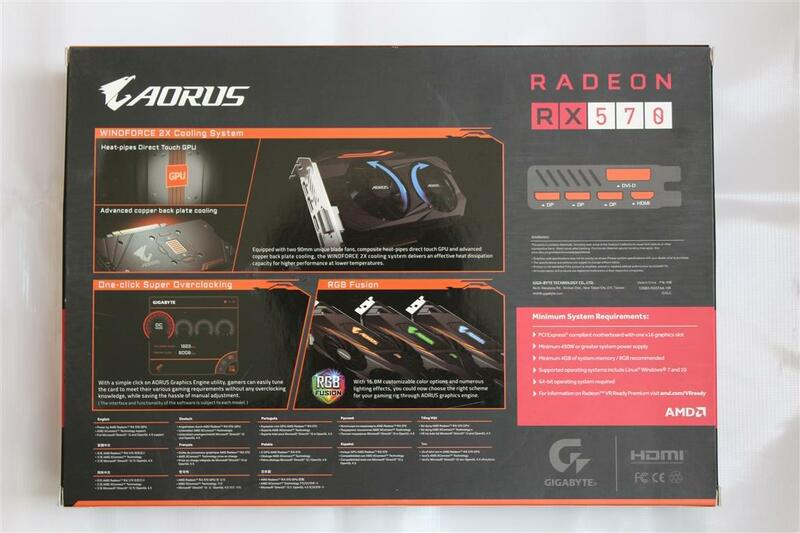 The AORUS Radeon RX570 comes in a box securely packaged with AORUS graphics and features highlights on front and the back of the box. 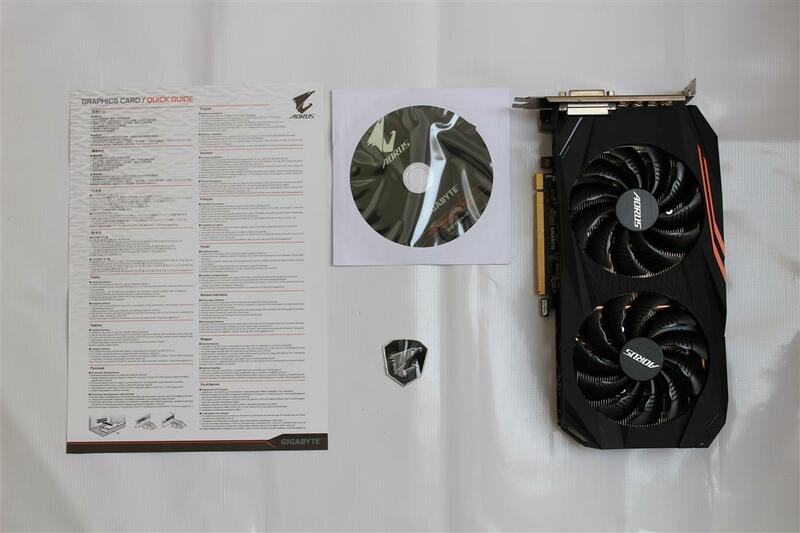 Along with the GFX card box also includes Software installation CD and quick start guide. 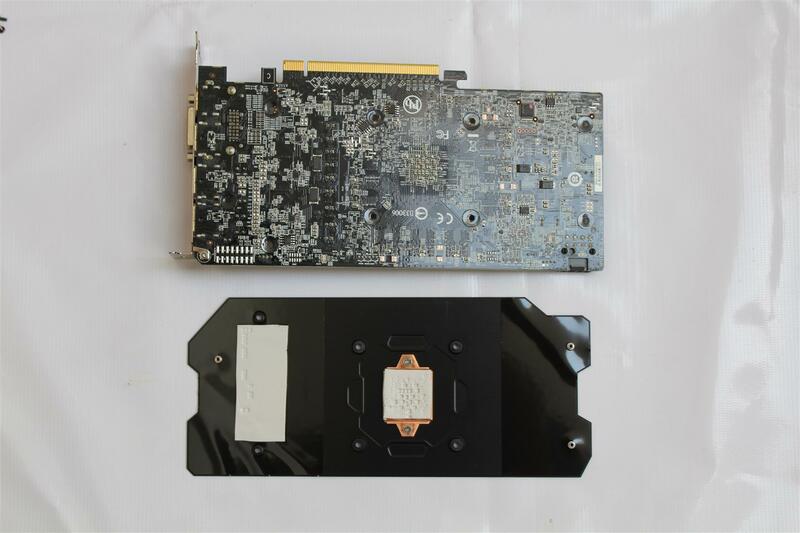 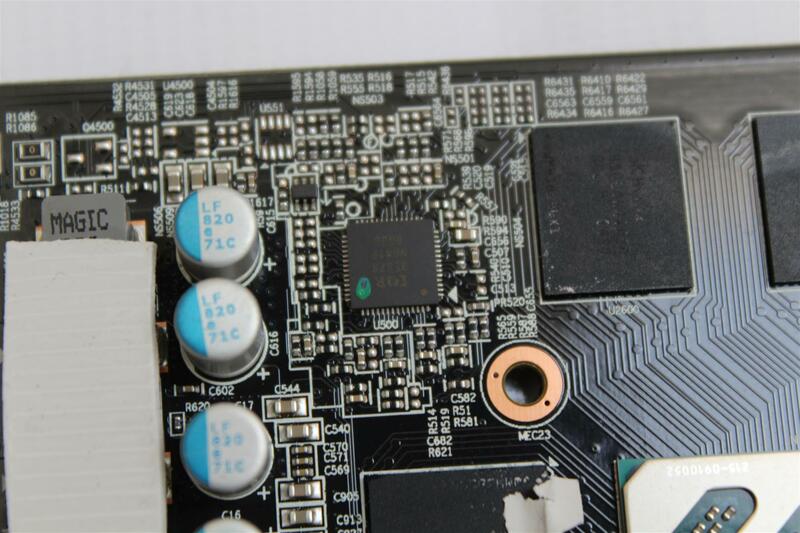 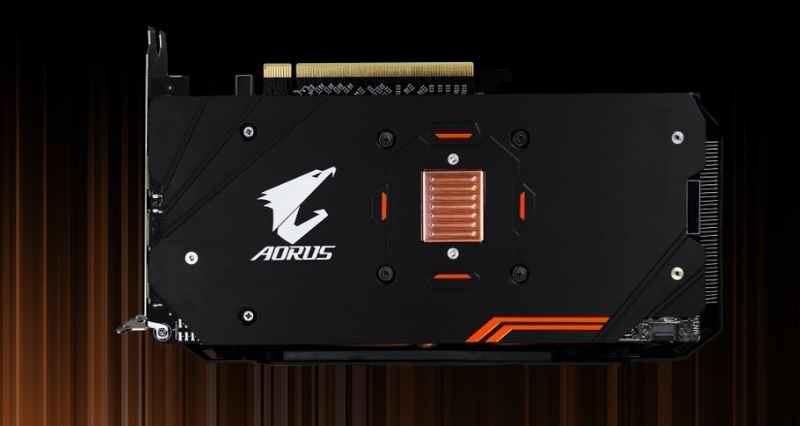 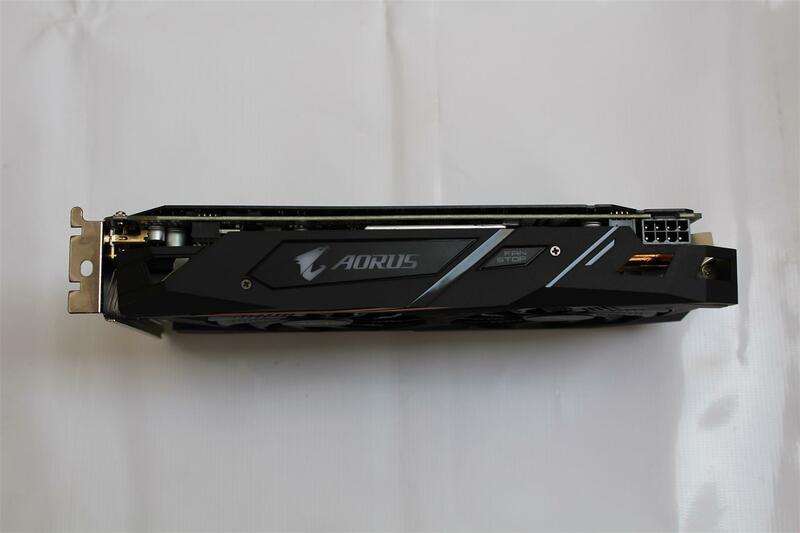 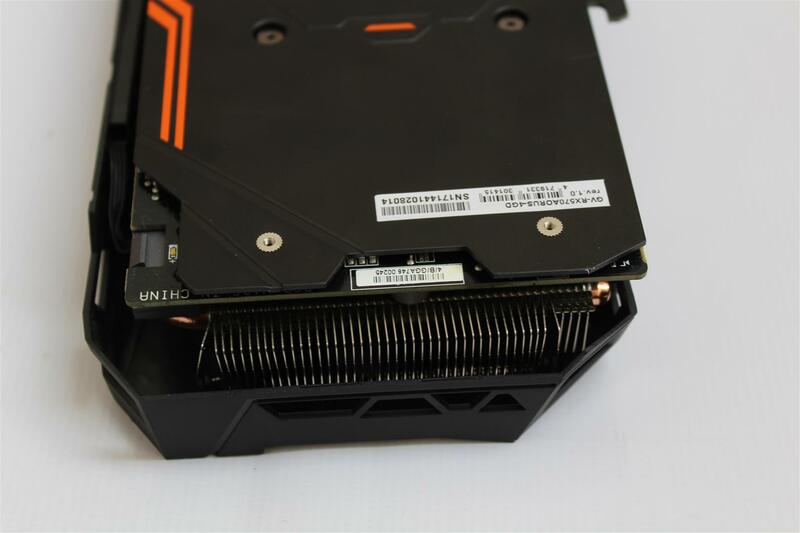 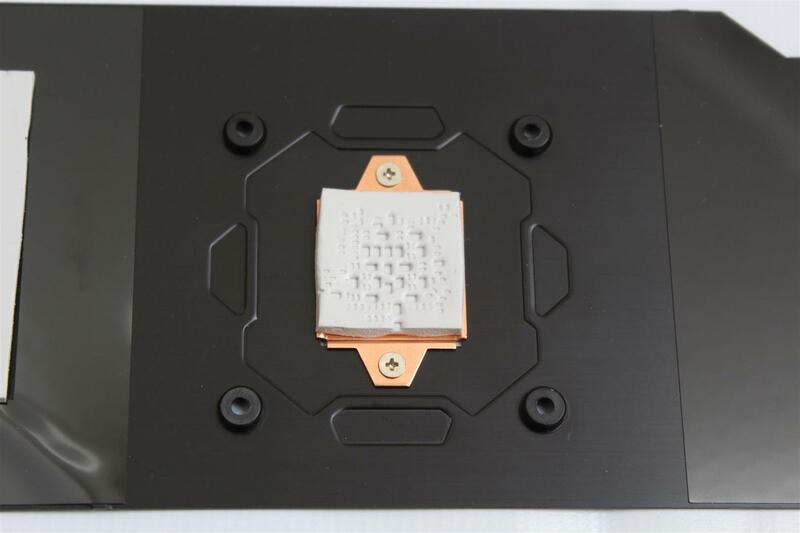 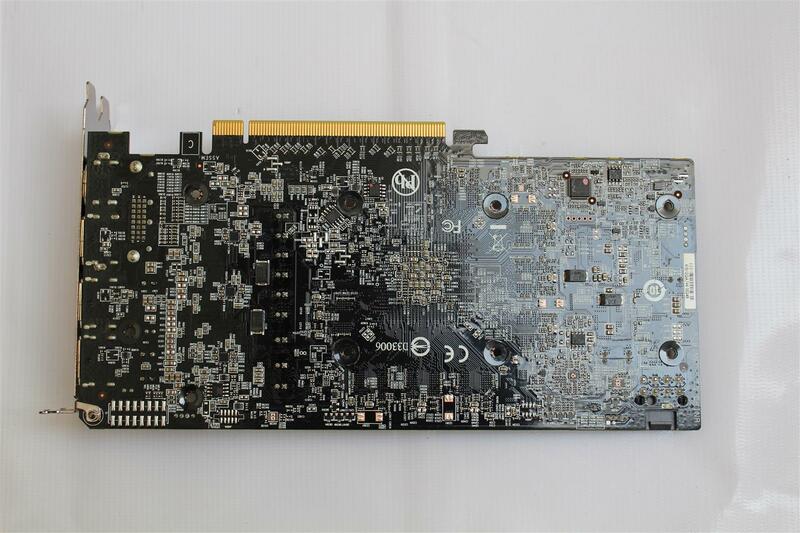 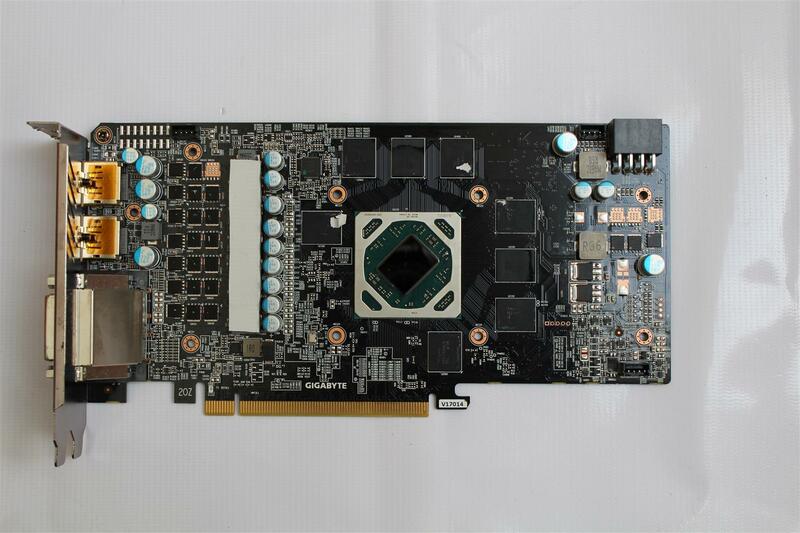 The AORUS Radeon RX570 with predominating black/orange colour scheme comes with a nice back-plate with a separate copper heat spreader installed on the back side of the GPU chip. 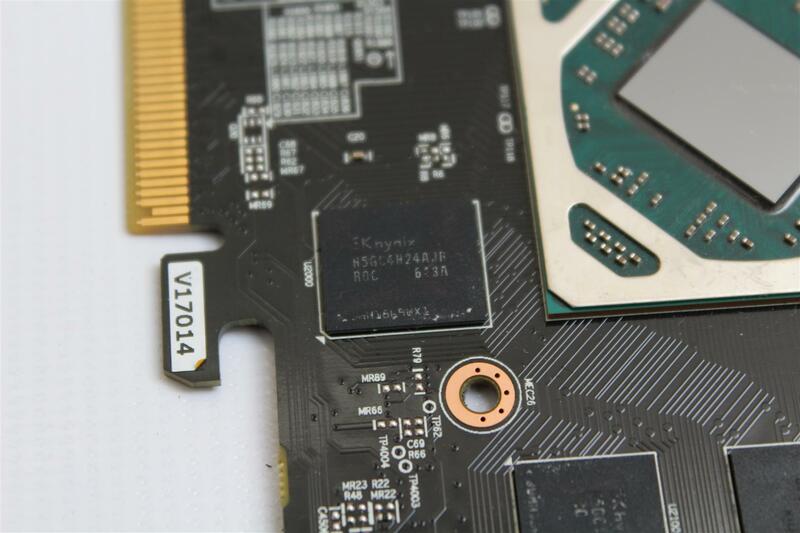 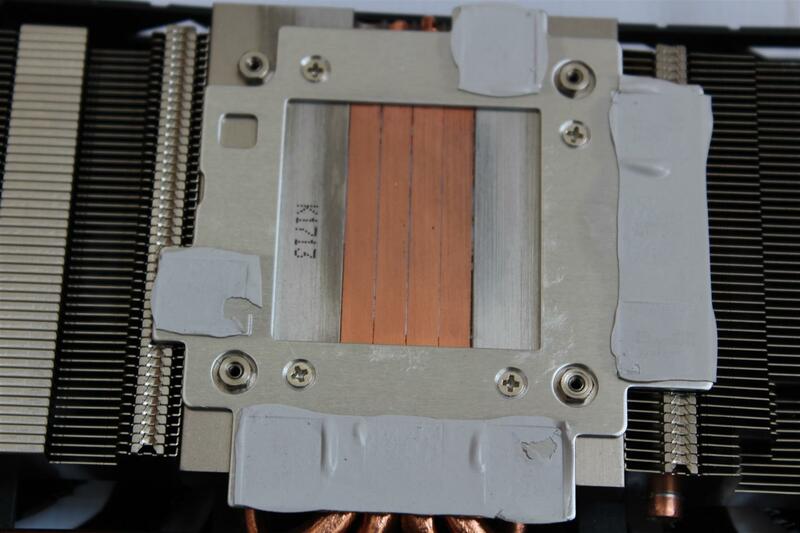 Removing the cooler reveals four heatpipes fused together makes a direct contact with the GPU core and a base plate is also mounted for memory chips cooling. 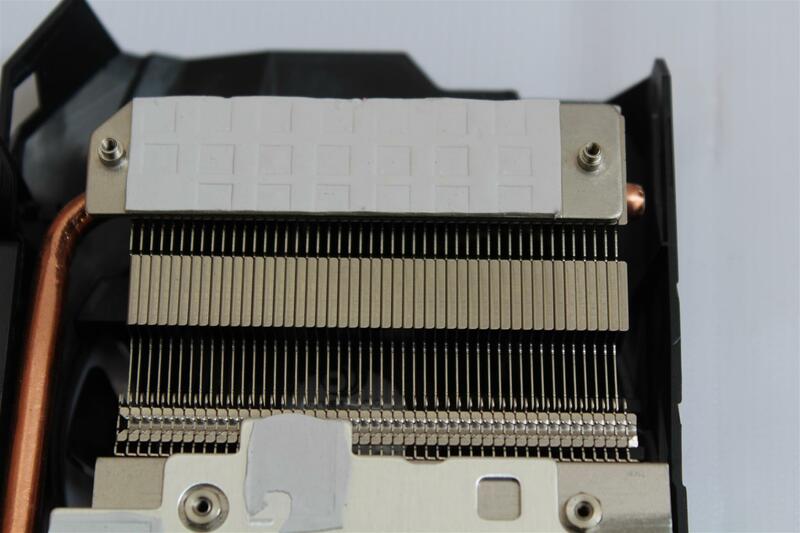 Heatpipes are connected with an array of aluminum fin stack and two 80 mm brushless fans for cooling. 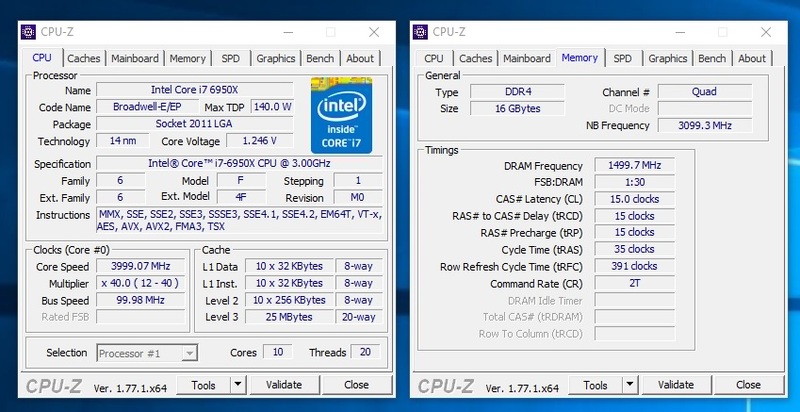 In idle, the temperature is real good and at full load running 3D Mark Fire Strike temperature was ok and fans were slight loud. 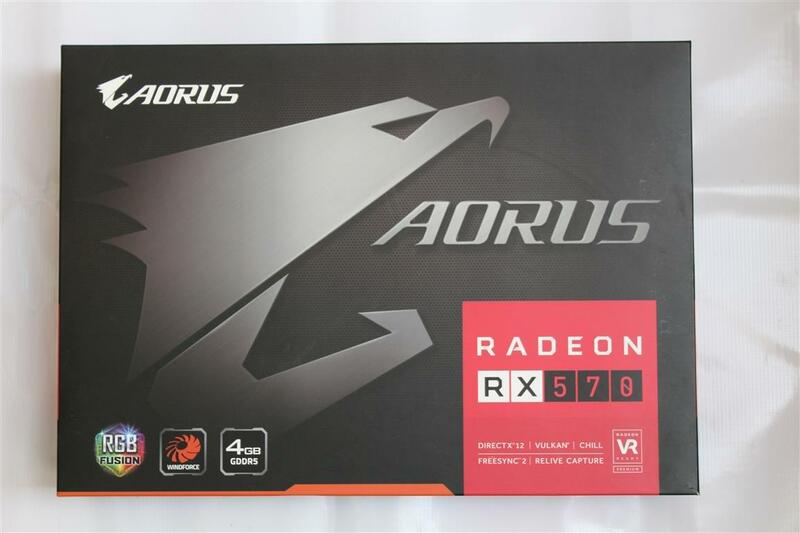 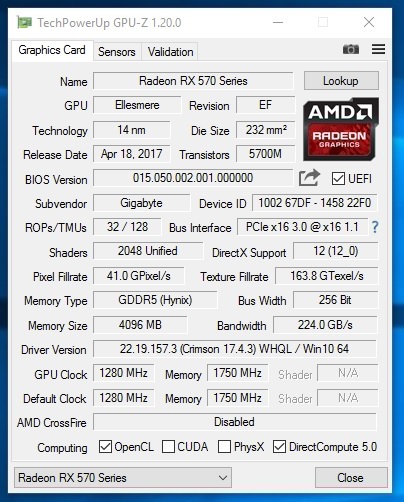 AORUS Radeon RX570 4GB is a great card for low budget gaming build, mostly giving decent gaming performance at 1080p resolution with moderate details. 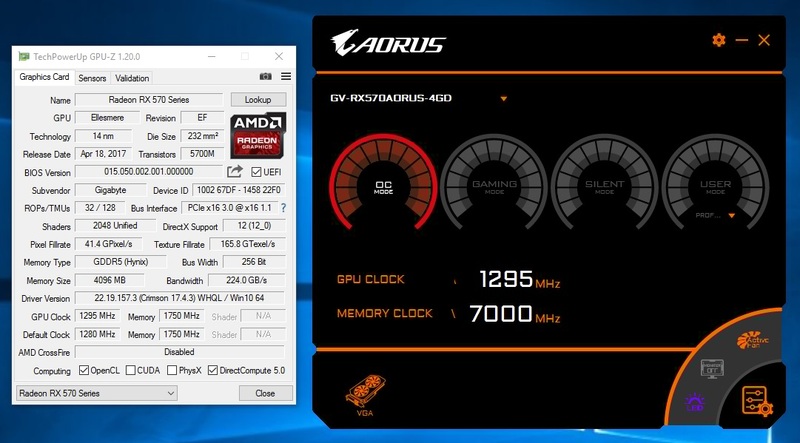 Gigabyte also gives a rough 5% performance increase with easy overclocking OC Mode alongside a nice cooling solution which pushes the temperature and noise at their lowest level. 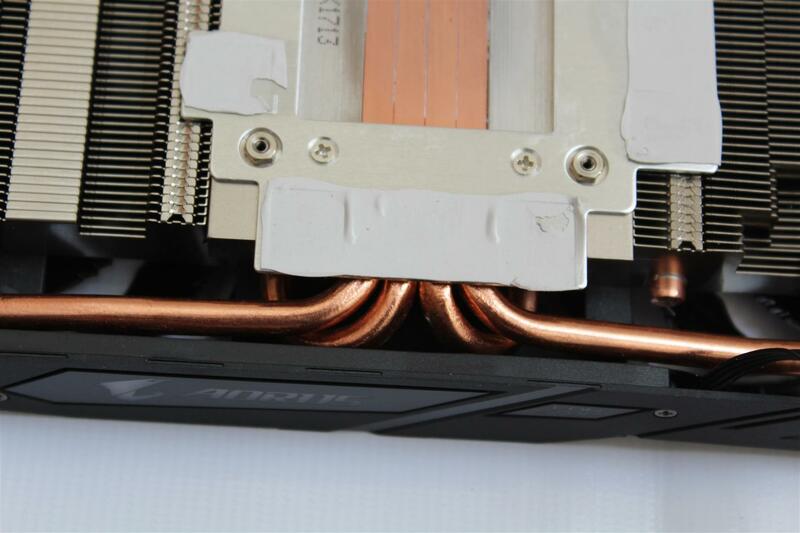 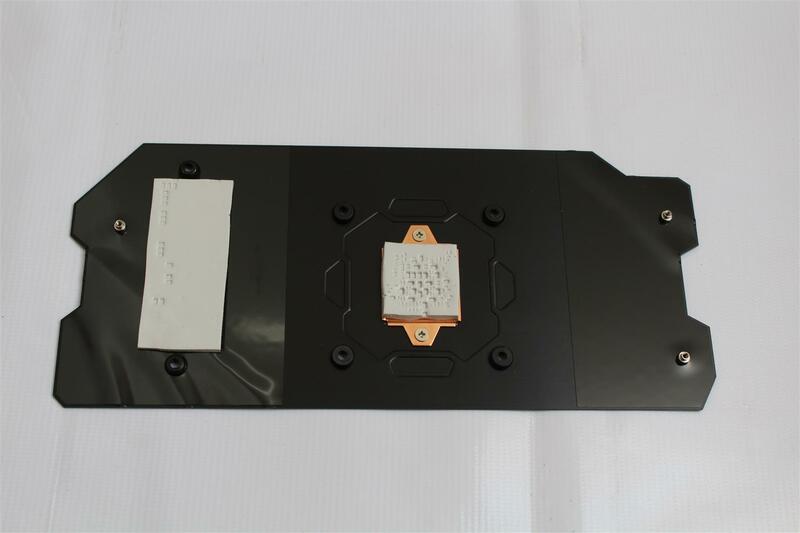 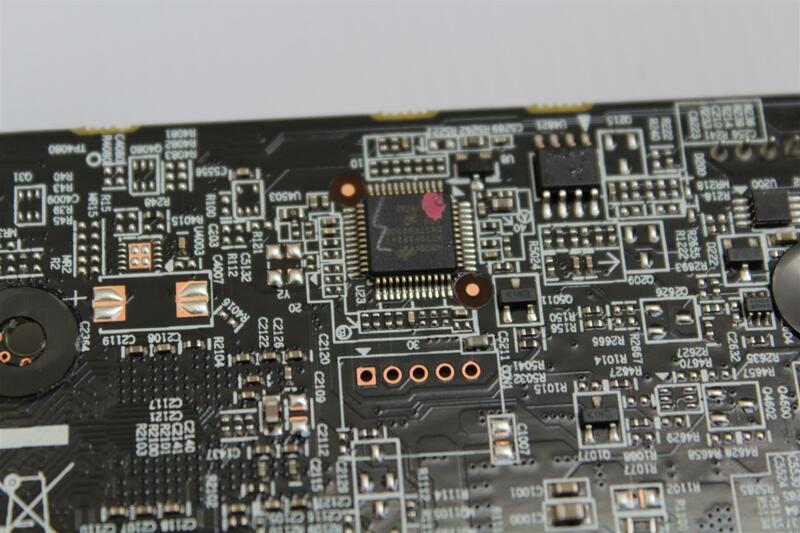 The new back plate design with separate copper heat spreader onto the backside of the GPU chip is not that effective or helpful in increasing thermals capability of the overall card, as most of the heat is already drawn away via main heatpipe cooler. 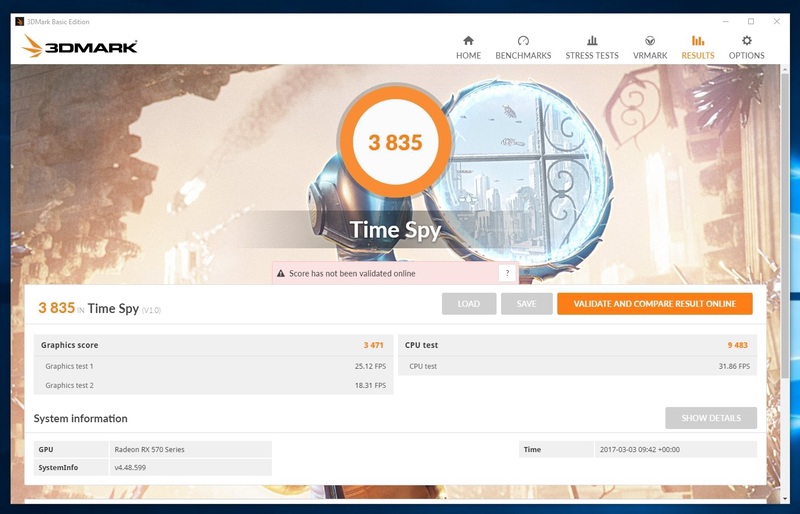 Instead it add more to the premier looks of the card. 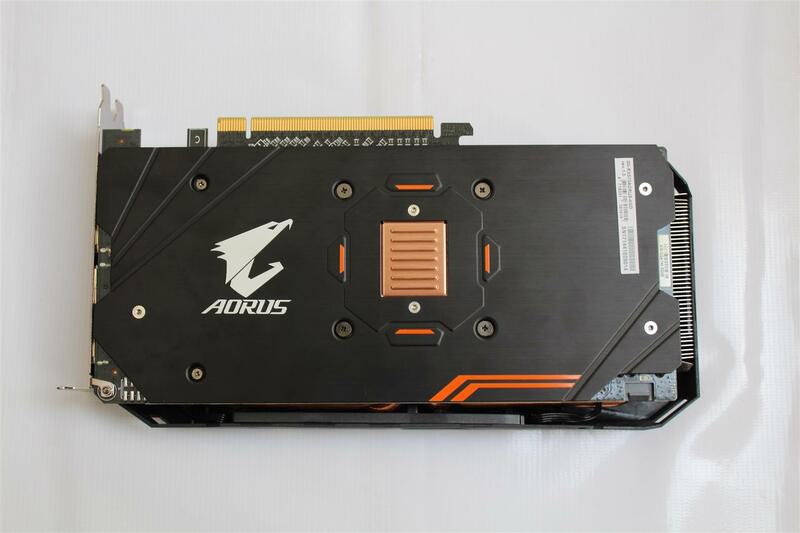 At the conclusion AORUS Radeon RX570 4GB video card is a good product for budget gamers looking for smooth gaming experience at 1080p resolution with nice factory overclocking and cooling solution.